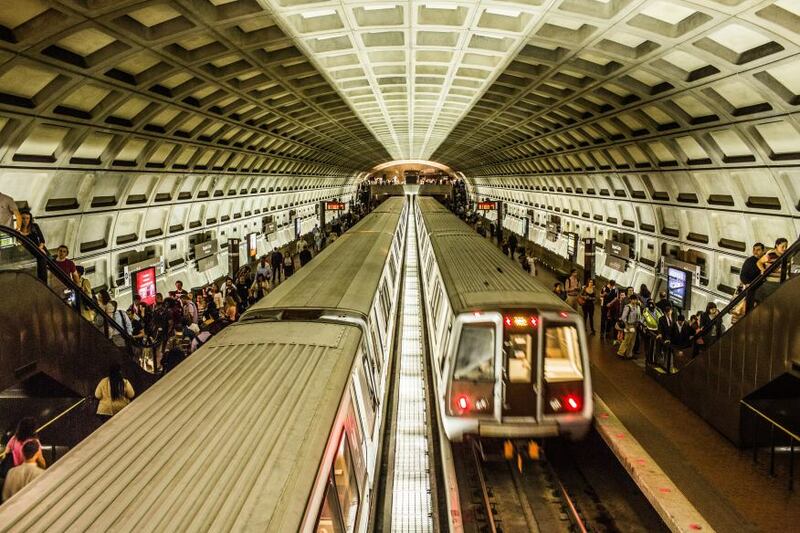 Is our metro system really headed to oblivion? What is being done about this current state of affairs? We all know the drills associated with the morning commute. Scan your card on the gantries, waltz pass the snaking queues to your usual boarding door and then begin the wait (hopefully not too long) for your train. Nowadays however, things seem to have gotten worse. Way worse. Now, all queues are depressingly long, trains often stop midway between stations and lines can suddenly go off service, triggering a public transport meltdown. Who's to blame for this? Most would point to the abdication of responsibility by the top brass of the country’s public transport institutions. Others accuse the rail operators of fostering a poor work ethic which formed as a result of a a wider degeneration of corporate culture. This form of finger pointing comes hotly on the back of a disorienting series of network disruptions which have included two major incidents where a tunnel was flooded (causing a 20-hour delay) and a collision (but honestly they just ‘bumped’ each other). For the public, it doesn't matter who is to blame as the current state of affairs is undeniably annoying; and that's if you're consulting the most understanding lot of commuters. Following this, multiple comparisons have been made to the other rail systems in the region like Hong Kong’s MTR and the Taipei Metro for their apparent rail reliability. These comparisons are not without merit. While the MRT trails the MTR and Taipei Metro in the number of passengers carried, the purported network excellence of the two means that they saw fewer delays (>5 minutes) than the MRT. Therefore, is Singapore’s MRT really a transport laggard in the grand rankings of public transport systems worldwide? 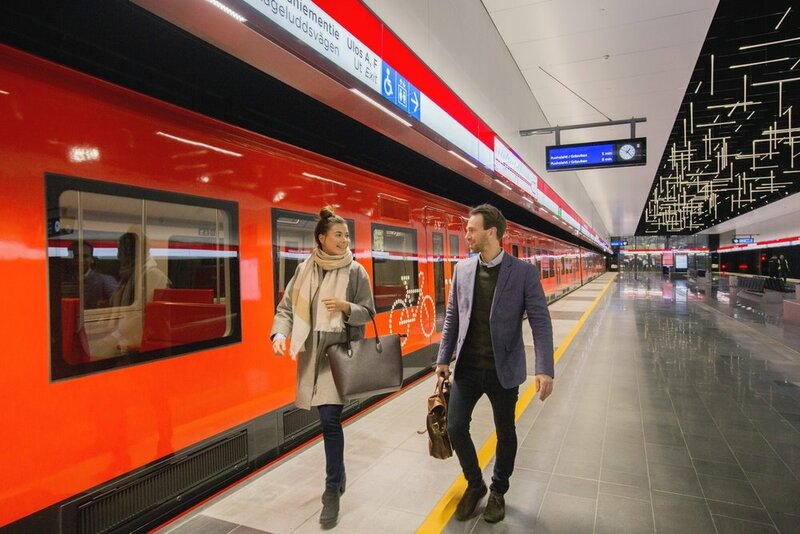 The long-awaited billion euro Western extension of Helsinki’s metro has finally opened for commercial service after being under construction for 8 years. The Lansimetro has been plagued by false starts as several promised ‘start dates’ frequently came and went since 2013. Throughout this process, vandalism, water damage (sounds familiar eh?) and dust covered tunnels conspired to double the initial construction cost and delay the extension's opening. To add salt to the proverbial wound, the new extension (finally) isn’t even fully opened yet as the last stage is set to be only be completed in 2020. This was maddening to the population of Helsinki to say the least. When authorities announced that it would open on Nov 18, citizens joked by asking - Of which year? Ask New Yorkers about what the saddest part of their great city is and you’ll be quickly satiated by a full round of diatribes being hurled at the city’s metro system. The truth is that the city’s subway is plagued by so many flagrantly painful issues. Its platforms are usually congested as stations try to get by with infrastructure and equipment from the 1930s. The system still uses gantries that only accept cards that need to be physically swiped. In 2015, the metro’s worst lines operated at 47% punctuality and the network average stands at an embarrassingly low 63%. The cause of such existential issues? A long (and fabled) history of deferred maintenance and negligence stemming from a lack of funding for even the most crucial of repairs. It is said that the MTA has only fixed 1/3 of the signal systems it promised to overhaul between 2005 and 2014. This spate of reliability issues has prompted people to dub the metro’s current state of affairs as the ’2017 crisis’. For a system that has begun to yet again experience a decline in ridership reminiscent of the 1970s, this charge is not without merit. Back then, the NYC Metro was known a system teetering on complete collapse as ridership fell to 1918 levels. To address the crisis, entire stations have been periodically shut down for extensive repair works and the city has embarked on (or perhaps, wishes to) an ambitious action plan. Yet, this plan still remains in limbo unless politicians can agree on funding. Are we going to see upgrading works stall yet again due to financial issues? Well, history seems to suggest so. The riders of DC's metro have been hit with a nightmarish cdouble whammy - fares are set to rise (up to 25 cents a trip) and services are going to be cut, especially at peak hours. The goal? To fund and complete what the city calls, ‘preventative maintenance’. To the everyday commuter, this seems preposterous. Yet, these works seem to be necessary in order to avoid the type of lethal incidents the system has experienced in the past. In 2009, a crash caused fatal injuries for nine passengers and in 2015, smoke inhalation killed a lady whilst injuring 80 others. The entire network was once shut down for a whole day and on another occasion, commuters had to endure weeks of slow/canceled services. Other more ‘minor’ disruptions have resulted in 2 hour long delays due to incidents like an ‘electrical fault’ and the presence of ‘foreign objects’. The Metro in 2015 finally began a major overhaul of its operations after realising that if it continued to ignore red flags and warning signs like it did for two decades, the system would eventually slide into obsolescence. This cleanup effort was motivated by an investigation that highlighted the same patterns of negligence, complacency and planning missteps prevalent in other metro systems straining at their seams. Thankfully, the authorities are cognisant that waning public confidence and general ridership is a scary prospect for the business. Yet and perhaps ironically, it is one that seems to befit the current state of affairs of the country. Okay, so what if other people have metro issues? Singapore should be special. While I am clearly giving the most egregious examples of failing rail networks overseas, it is clear that such problems aren’t unique to Singapore. In spite of this, the insipid comments you’ll find online will make it seem like this isn’t the case. 1. The project to replace all 188,000 of the aging sleepers on the NS and EW lines has already been completed - this will boost the system’s reliability and operability. The replacement of the MRT’s third rail is also underway to prevent the incidence of power related faults and disruptions. 2. The LTA has already added 42 new trains to the relatively newer NEL and CCL. By 2019, 57 new trains will be gradually introduced to augment the capacity of the NSL and EWL. If you’re aware that a train takes about 5 years to build, you’d say that Singapore’s rail enterprise is pretty forward-looking. 3. Incredibly ambitious rail projects that include the TEL, JRL, CRL and CCL6 are already in the works. This will not only be a transport revolution in that transit times will be reduced significantly, it will also finally add fallback alternatives to the network just like how the DTL complements (or rescues rather) the EWL. 4. The overhaul of the network’s signaling system is not only a project to replace old equipment, but also the inauguration of a wholly new protocol meant to fit more trains into the network especially during peak hours. This is probably the most understated aspect of the whole revitalization program. From the 'fixes' detailed above, it is without a doubt that such efforts to address the issues plaguing the city’s rail system is simultaneously wide-ranging and fundamental, and is occurring at a scale unmatched by most metro systems. To this end, the scale and complexity of the endeavor should demand a long completion timeframe due to the fact that major works can only take place in the service’s after-hours and that engineering teams do need sufficient time to embed fail-safes in the interest of safety. And so, to the naysayers, let’s make something clear. The manic disruptions that we are experiencing now are because of an earnest effort to test and reconfigure a train signalling system whilst running daily rail services as usual. It is a known fact that you can only fully test the system while running it at full loads. Yet, this is perhaps an intractable catch-22 as if anything wrong happens, lots of people are going to get angry. Think of it as trying to change the bedsheets whilst your annoying friend refuses to get off the bed. In this regard, the extent of unity and coordination within the city’s transport networks during a disruption should be seen as a laudable achievement. You would likely not see free bus services being put in place due to a train disruption elsewhere in the world. However, it is true that this should be a stopgap measure until proper redundancies (read: alternative train lines) are available. 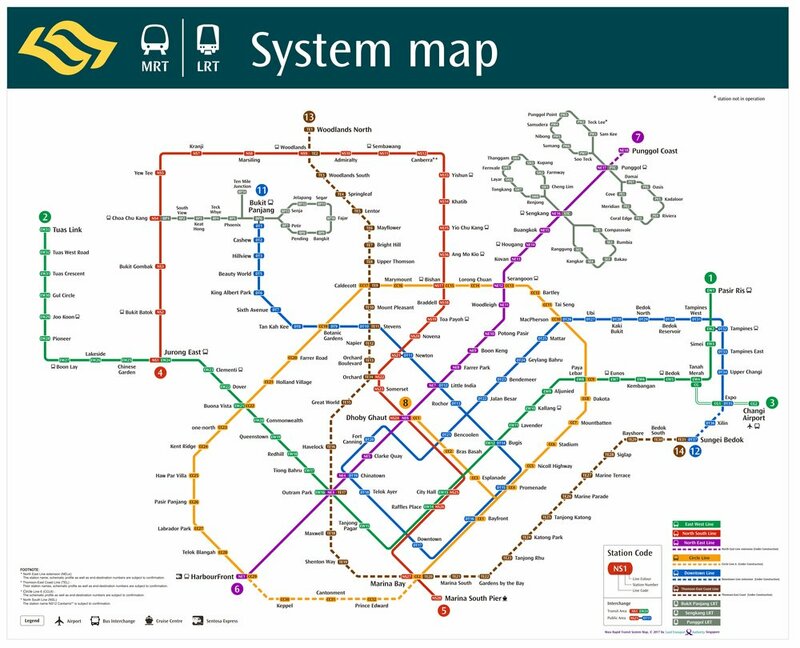 As mentioned previously, this is something the Downtown Line and the upcoming Thomson-East Coast Line is trying to address. Efforts at overhauling the entire system also do not stop short at the physical network but also extends into the style of its management. The government is in the process of overhauling the management of the MRT’s rail assets by switching to a rail financing framework. This means that all physical infrastructure (track and trains included) will be owned by the government and companies like SMRT and SBS will now only simply operate the actual rail service. The upside to this means that SMRT and SBS will be ‘relieved of heavy capital expenditure’ and will be allowed to focus on ‘providing reliable rail services for commuters’. This same model is also being implemented for our bus services islandwide. Charges that the rail system has ‘gotten this bad’ due to privatization are also unfounded because the much-lauded MTR (which everyone rightly commends for its efficiency) also operates under similar circumstances. The majority shareholders of both companies are their respective governments and are vested with the expressed purpose of making the system ‘serve the people’ albeit alongside a profit incentive. The issue here is hence not a lack of regard for commuters, but a manifestation of institutionalized complacency mixed in with the inevitable disruptions stemming from a system undergoing an overhaul whilst continuing normal operations. If you think us Singaporeans have it bad, take a look at the daily woes faced by New Yorkers and Londoners. Unlike these cities, the MRT has avoided (albeit for obvious political reasons) any fare hikes despite the fact that the current repairs and overhauls are crazily expensive. While it is hard to quantify the toll an anemic public transport system has on a city’s population, it is clear that a lot of work has yet to be done. However, the bottom line and reason for this piece is to argue that if SMRT was indeed wholly negligent, we would likely see little disruptions in present, but the disruptions of the future would occur to an extent that would dwarf whatever we’re experiencing now.